"Most of the properties of living cells are mediated by the ever-changing interactions of their component macromolecules. Pathogenic alterations in these interactions mechanistically underlie diseases such as viral infection and cancer. Much better tools are needed to reveal these interactions. The Center is creating new and useful tools to elucidate the dynamics of macromolecular interactions, and to spread these tools amongst the biomedical community. The Center will empower the community to assemble the kinds of detailed, dynamic representations of the interactions in the cell that will help elucidate the principles underlying all cellular processes. These tools will enable researchers to delve into the molecular details of biological processes with unprecedented facility. The resulting insights will impact all areas of medical research, from fundamental discovery to pharmaceutical development." In a public panel discussion put on by Town Hall Seattle and ISB, legendary biologist Dr. Lee Hood, PSJH Chief Clinical Officer Dr. Amy Compton-Phillips, and PATH’s Program Leader of Diagnostics Tala de los Santos addressed the promise — and challenges — of implementing and practicing 21st century health care. 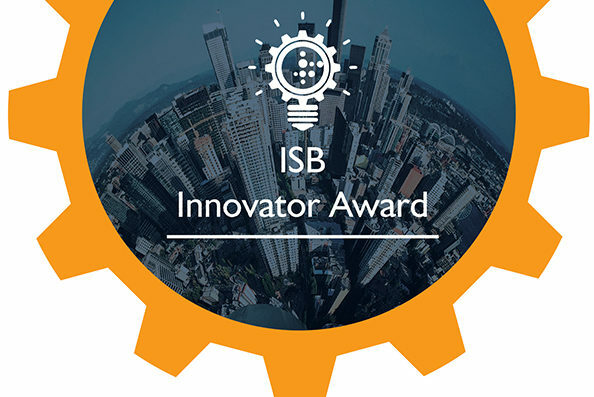 The Innovator Award Program at Institute for Systems Biology is an annual internal initiative started in 2017 that aims to stimulate creativity, innovation and collaboration within ISB, to provide funding support for high-risk, high-reward projects, and to develop new technologies and discoveries that will impact the entire research organization. John Aitchison is a pioneer in the field of systems biology. He is a founding member of Institute for Systems Biology (ISB), he was the long-time director of the Center for Systems Biology, and now he serves as president and director of Center for Infectious Disease Research (CIDR). ISB researchers have developed a method of capturing a personal genome as a “fingerprint,” which will have a major impact on how quickly and efficiently genome sequences are compared. As part of The Cancer Genome Atlas project, the Shmuelvich Lab and colleagues published a paper in the journal Cancer Cell related to the rare cancer adrenocortical carcinoma. Read the summary: 3 Bullets: Adrenocortical carcinoma (ACC) is a rare, under-researched endocrine cancer with limited therapeutic options and overall poor outcome. TCGA researchers performed comprehensive analysis of 91 ACC samples to gain better understanding of potential genetic causes of the cancer…. What Should Your Resolutions Actually Be? Do you know your systems biology? Your health and wellness are determined by the intricate, interconnected systems of your body’s internal mechanisms plus your particular set of external environmental factors. We created a fun quiz to help you make your new health resolutions. ISB has had a busy year! Explore a year’s worth of headlines on this timeline. ISB president, Dr. Lee Hood, gave the inaugural talk for the Academic Medical Center Helsinki Distinguished Lecture Series on Nov. 11, 2014, in Helsinki, Finland. He also received a lecture award. Read about the lecture here. ISB held its all-staff retreat in Leavenworth on Sept. 8 and 9. In order to do the kind of science we do, we need time away to connect with one another, recharge and envision big ideas. While there are plenty of sessions on our science, there are also plenty of opportunities to have a little fun. This year, we held an “open-mic” night. Several ISB staffers performed – including Dr…. Jennifer Smith, senior research scientist in the John Aitchison Lab, was tagged to do the ALS Ice Bucket Challenge. And because the Aitchison group studies ALS, Jennifer’s lab mates took the challenge, too. Jennifer offered this description of the work they are doing to create a blood test for early detection of ALS: ISB is developing a multi-component blood-based assay (blood test) for early detection and disease tracking of ALS…. KUOW's Marcie Sillman and producer Amina Al-Sadi interviewed Dr. Lee Hood about P4 medicine and the 100K Wellness Project. This 29-minute recording is a great conversation about Lee's vision for how to turn healthcare on its head. Listen to the podcast. Learn more about the 100K Wellness Project. (Photo above: ISB’s Dr. Ilya Shmulevich describes his lab’s work in The Cancer Genome Atlas project and how ISB and FHCRC could collaborate.) Big health challenges require big science. Cancers are prime examples of overwhelmingly complex diseases that need the power of a cross-disciplinary, systems biology approach to decipher the underlying dysfunctional gene networks in order to find ways to prevent and manage the diseases and develop more effective therapies…. ISB held its 13th Annual International Symposium: Systems Biology & Cancers on April 13-14. Please read more about our speakers and program. If you weren't able to attend or would like to refresh your memory of the talks, we have made a selection of the presentations available to view below. Or visit the playlist on ISB's YouTube channel. IEEE (Institute of Electrical and Electronics Engineers) announced that Dr. Lee Hood, president of Institute for Systems Biology, is the 2014 recipient of the Medal for Innovations in Healthcare Technology. He is being recognized for "pioneering contributions to DNA sequencing technologies that revolutionized life and health sciences." Read about all the medal recipients here. ISB held its 13th Annual International Symposium: Systems Biology & Cancers From Big Data to Personalized Treatment on April 13-14, 2014. Visit symposium.systemsbiology.net for details. Visit the gallery for images. Or visit the video playlist on ISB’s YouTube channel. Welcome and congratulations to the newest members of ISB: Ron Myers is now our Chief Legal Officer and VP Business Development. He is responsible for legal affairs, including patents and contracts. Assistant Professor Naeha Subramanian, PhD, comes to ISB from the National Institutes of Health. Her specialties include immunology, innate immunity, and host-pathogen interactions. Dr. Lee Hood received the Geoffrey Beene Builders of Science Award through Research!America (read more). Watch his acceptance speech above. UPDATE, April 12: Here's a video of the backstage interviews with all the award recipients. Dr. Lee Hood will participate in a Reddit AMA (Ask Me Anything) on March 24 April 11 from 10-11 a.m. PST. There will be more details posted on Reddit.com the morning of April 11. For now, feel free to look at the list of upcoming science AMAs or check out some previous science AMAs here. At ISB, we ask staff to share their stories about how they got "From There to Here" — because each person's path to ISB is unique. Recently, Dr. Lee Hood, our president, shared his journey from his childhood in Montana to the founding of ISB. What an incredible history. Dr. Lee Hood has been named one of the top 50 most influential scientists in the world today. The list, published by www.thebestschools.org honors other leaders in science and technology such as physicist Stephen Hawking; primatologist Jane Goodall; Timothy Berners-Lee, inventer of the World Wide Web; and Peter Higgs, of Higgs boson fame. To see the full list, visit this link. Dr. Lee Hood appeared in a video series produced by World Free From Cancer and Value of Innovation about five "game changers" who will help make this a cancer-free world.